Managing Director, Brad Kane has over 25 years industry experience covering tilt panel factory experience, construction management, project management and development management. Since taking over the reins of J&B Projects from his father Bill in 1990, Brad has been a local Gold Coast Builder that has built up the business based on his passion for quality workmanship and professional service. 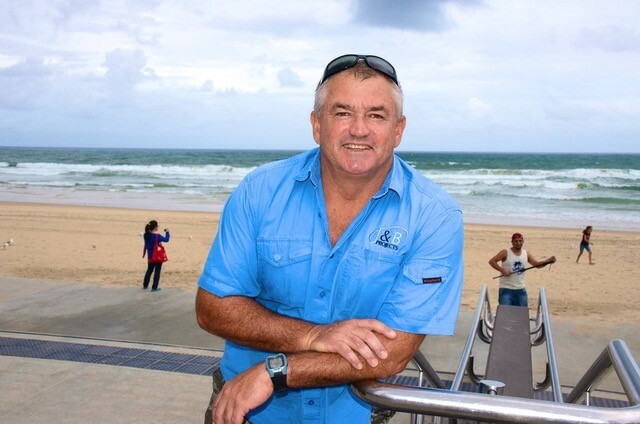 Brad’s 30 year involvement with Surf Life Saving, where he achieved several Australian titles, instilled in him a dedication to service and loyalty. Working alongside wife Joanne, Brad is committed to creating family ideals and values including their relationships with clients and their team. Brad and Joanne plan to build a long term sustainable business for future generations. The J&B Projects team consists of architects, interior designers, engineers, surveyors, estimators, project and construction managers, tradesmen and office support. All of which have extensive industry experience and knowledge, ensuring that every project is carefully executed and completed professionally. We believe that every successful project requires the backing of a strong partnership between all stakeholders, creating successful long term relationships that are mutually satisfying and beneficial. Our personal, hands on approach ensures we take the time to listen to the client’s requirements and expectations, guaranteeing satisfaction every time. Relationships with our team of designers, consultants, tradesmen and suppliers have been second to none, many of who have been working alongside J&B Projects for over 20 years. J&B Projects can provide a “one stop shop” solution, managing the project process from conception through to construction. Our system saves time and money for the client, therefore providing a greater return on your investment.